Sometimes people just don't use words right. For instance, I use the word "devastation" way too much in non-serious situations, thus rendering the word useless in scenarios that actually are devastating. Same thing happened with the word "emergency" one time in DC. I was at a bar with a couple of friends and a couple of people that I had just met. One of the latter, a gentleman drinker of Tom Collins, was getting really impatient for his next drink. He rudely snapped over the waiter and hurriedly asked for an "emergency drink". WTF?!?! What is the emergency? That you're an alcoholic? The use of this word is one part WRONG and 3 parts soooooo obnoxious. And probably a dash of spit from the offended waiter. But, since the word no longer has a perfect record, I'm going to overdramatize it again. Today I'm getting an emergency pedicure! It's an emergency because I need it for this weekend for a very special event I'm going to (celeb sightings might be involved). And it's an emergency because I have to get there before 7pm and after the gym! 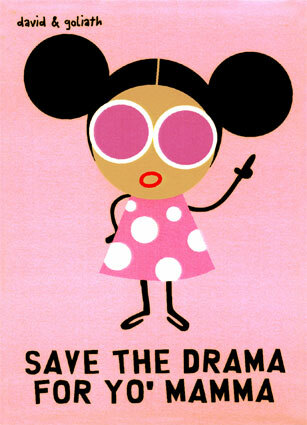 Sometimes life is just more fun when you are devastatingly dramatic!